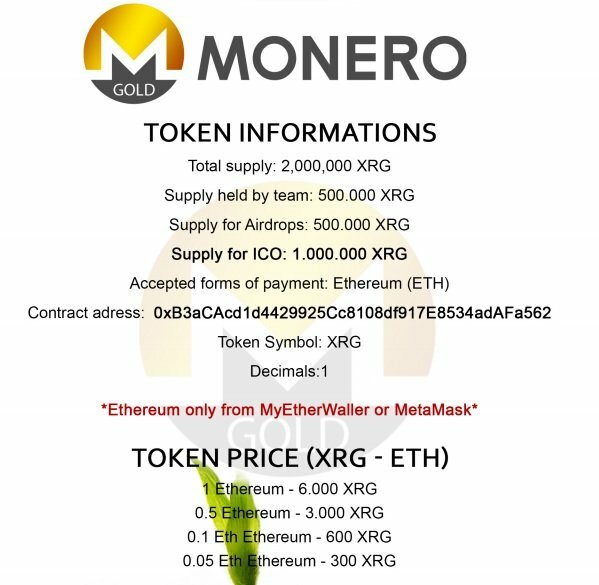 In late November last year, a new ERC20 altcoin called Monero Gold (XMRG) arrived at the crypto scene and launched their first smart contract. The Monero Gold team described their project as the first ERC20 token that would be used for purchasing and selling of goods, services, and more. Their white paper actually didn't state too much about the project, just some basic explanations about block chains and the Ethereum network. Their whitepaper was honestly enough to set off red flags alone. Let alone being called Monero Gold while being an ERC20 token (which Monero is not) and having no association with Monero. Their white paper did break down the token details with a total supply of 2,000,000 XRG (listed and mostly known as XMRG) broken down into 500,000 XRG held by team as well as another 500,000 for airdrops. An ICO supply was offered for the remaining XRG at 1,000,000 available for sale. Well as anyone can clearly see by visiting their now defunct website, the boys at Monero Gold have been running and scam and just made their exit. The jig was up when Coinexchange, the only exchange that actually listed Monero Gold (also questionable of Coinexchange), decided to halt the Monero Gold market. The exchanged became aware that a large number of XMRG coins had been created and transferred into the deposit address of a Coinexchange user. Shortly after, a large percentage of the coins were dumped onto the market. The Coinexchange was able to determine that the developers of Monero Gold was responsible in the most simple way possible when it comes to blockchains. Follow the path. It appears a whopping 1,157,920,892,373,160,000,000,000,000,000,000,000, 000,000,000,000,000,000,000,000,000,000,000.296399 34 were created through an exploit in the code. Monero Gold was built with a Burn function as many tokens also have in order to remove tokens out of circulation. In simple terms, the Burn function added by the developers had integer limits that are only able to have positive values. 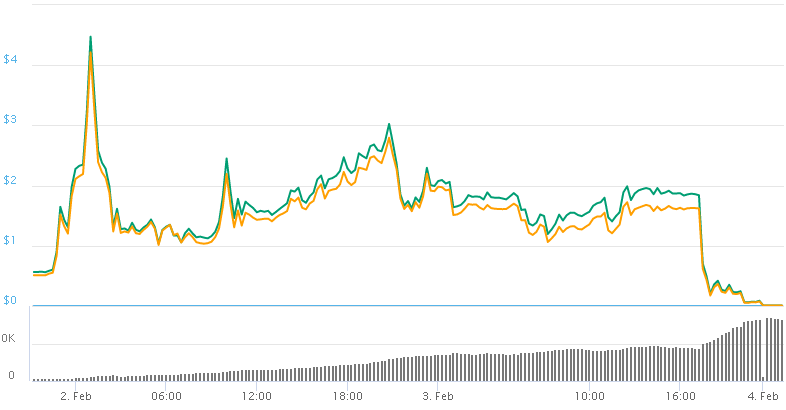 The devs then decided to burn more than the limits allowed which in turn made the integer value go below 0, which then makes it automatically reset to the highest value possible since there is no such thing as -1 supply.After the devs created trillions in supply, they moved a good amount to Coinexchange and started unloading, which obviously tanked the price. This prompted Coinexchange to halt Monero Gold, and the Monero Gold team to exit. Fortunately, Coinexchange offered amends by taking the remaining Bitcoin in the Monero Gold developer's account and will be used as a buy wall so victims of the scam can sell as much as possible before XMRG is delisted forever. They have also included all fees including a 2 BTC listing fee that XMRG team paid to the buy wall. 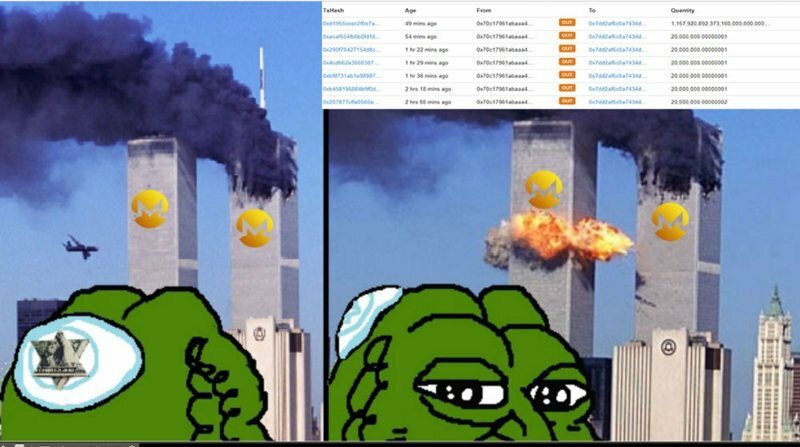 Coinexchange remains that they too were also a victim and had no idea this was coming.